Capturing the vitality of California's unique indigenous cultures, this major new introduction incorporates the extensive research of the past thirty years into an illuminating, comprehensive synthesis for a wide audience. Based in part on new archaeological findings, it tells how the California Indians lived in vibrant polities, each boasting a rich village life including chiefs, religious specialists, master craftspeople, dances, feasts, and ceremonies. Throughout, the book emphasizes how these diverse communities interacted with the state's varied landscape, enhancing its already bountiful natural resources through various practices centered around prescribed burning. A handy reference section, illustrated with more than one hundred color photographs, describes the plants, animals, and minerals the California Indians used for food, basketry and cordage, medicine, and more. At a time when we are grappling with the problems of maintaining habitat diversity and sustainable economies, we find that these native peoples and their traditions have much to teach us about the future, as well as the past, of California. 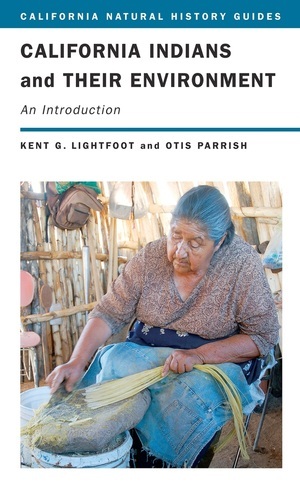 Kent G. Lightfoot, Professor of Anthropology at the University of California, Berkeley, is author of Indians, Missionaries, and Merchants: The Legacy of Colonial Encounters on the California Frontiers (UC Press), among other books. Otis Parrish is a member of the Kashaya Pomo Tribe.